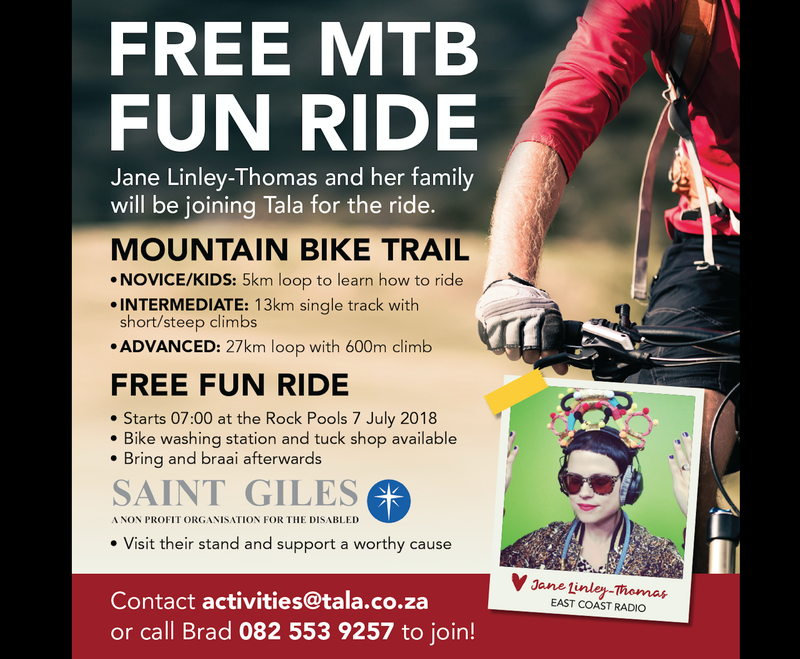 Jane joins Tala Private Game Reserve for a mountain bike ride to raise funds for the NPO Saint Giles in Durban. A trail that has been in the making since 2017 by Brad Scott and team started operation in April this year. Due to a price increase, the team decided to host one more free event with the aim of raising funds for Saint Giles. Read: Do you ask a disabled person the story of what happened? Saint Giles is a Non-Profit Organisation which supports disabled people. To create even further awareness, they also started a cycling team with disabled people to ride the Amashova. Saint Giles enables the disabled in Durban by providing service and support to them. The organisation provides remedial exercise therapy gym for disabled patients and a work centre where disabled staff pack, sort, and assemble various products. They also offer educational bursaries to financially-needy disabled students. Try out the 5km, 13km or 27km loop. The ride starts at 07:00, but you can start anytime until 11:00. This is a free mountain biking fun ride and an opportunity to donate in cash or zapper to this amazing organisation. I am so excited to be a part of this and cannot wait to head down there today.